California’s byways never disappoint; interstates and boulevards wind their way through the outskirts of San Jose to Big Basin Way and Saratoga Village. The small-town charm and pedestrian-friendly “main street” beckons visitors to walk and explore Saratoga’s finest dining, day spas, wine tasting, art galleries, and fabulous retail shops. Close by, performing arts venues provide astounding entertainment, including year-round and seasonal top-name performers. Historic gardens, hiking, horseback riding, wineries and breathtaking views are just a few distractions to bring you back again and again. A one-time motor court, Saratoga Oaks Lodge has shed its cocoon and turned into a beautiful butterfly. From a single-queen room to two-room suites, it’s the ideal hibernation destination. Newly constructed “tree house” bungalows accommodate couples or groups—the perfect haven to chill out following the day’s escapades. In-room whirlpool bathtubs and steam-bath showers help you find your bliss, while amenities—including a microwave, mini-fridge, coffeemaker, free Wi-Fi and continental breakfast—abound. Shaded by majestic oaks, balconies and garden patios are a joy any season. Need further relaxation? An easy stroll leads to the full-service Preston Wynne Spa. Indulge alone or in pairs, while unwinding in the lounge or on the curtain-draped balcony. Staff comfort and fulfill your every need; for parties of two or more, ask about the duetto suite and spa packages. Fully de-stressed, pour yourself into village wine tasting rooms Cinnabar Winery, Big Basin Vineyards, Uncorked and M4 Michaud & Martella. Nothing goes better with wine than luscious, handcrafted chocolates; luckily this sinful pleasure is close enough to see and taste at Saratoga Chocolates. On the edge of the Santa Cruz Mountains, zigzagging and sometimes precipitous roads lead from Saratoga Village to stunning vistas, hidden gardens, a captivating villa and chateau, vineyards and tasting rooms. Be swept away by the magic! 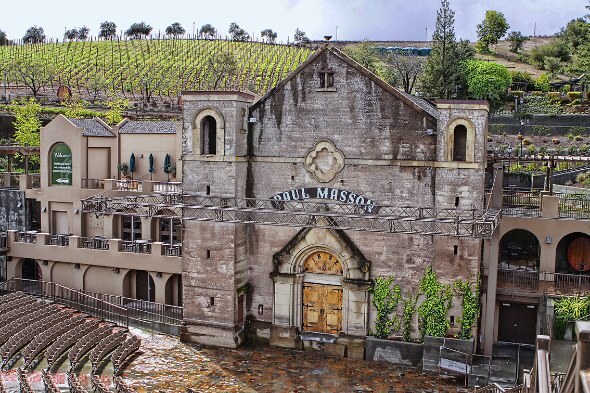 Arriving at the regal Mountain Winery, you immediately understand why Paul Masson—the original owner—called it his “vineyard in the sky.” Views of the Santa Cruz Mountains and Silicon Valley below are inspirational, while a sacred feeling exudes within the winery’s inner sanctum. A Saratoga landmark since the early 1900s, the summer concert series, world-class wines and cuisine catapult Mountain Winery to the top of your bucket list! Just a few miles away, sequestered on a hillside, the Mediterranean-style Villa Montalvo is another Saratoga jewel. The 175-acre estate—now Montalvo Arts Center—offers extraordinary performing arts programs, year-round concert series, miles of woodland hiking trails and formal and informal gardens. Go in search of Sculpture on the Grounds—a multifaceted installation of works of art. Enjoy the music of waterfalls and Mother Nature at her finest at Hakone Estate & Gardens. Influenced by Buddhist and Zen cultures, this ever-changing landscape presents something new each season. In spring and summer, multihued wisteria, azaleas and rhododendron await; delicate maples show their best fall colors; and winter brings a wall of camellias. The oldest Japanese and Asian estate garden in the Western Hemisphere, it is also a treasure of the National Trust for Historic Preservation. 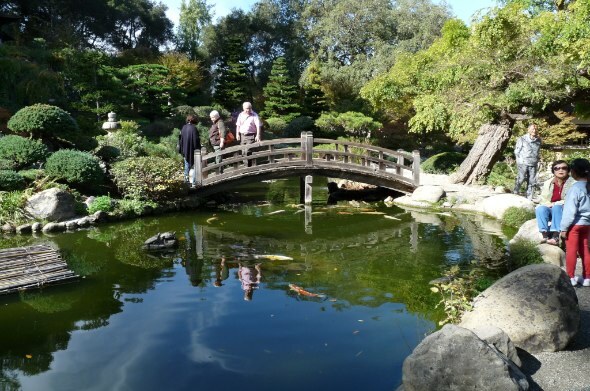 More than 18 acres, visitors wander the gardens and meditate on benches overlooking the koi pond or bamboo forest. Hakone also conducts a number of their own events, including tea ceremonies and Maturi (a spring festival), slated for May 19. The 28-acre organic Cooper-Garrod Estate Vineyards and Garrod Farms is an experience like no other. Just minutes from the Saratoga Village, enjoy scenic horseback-riding adventures through the vineyards and Mid Peninsula Open Space Preserves, followed by wine tasting in the historic fruit house. 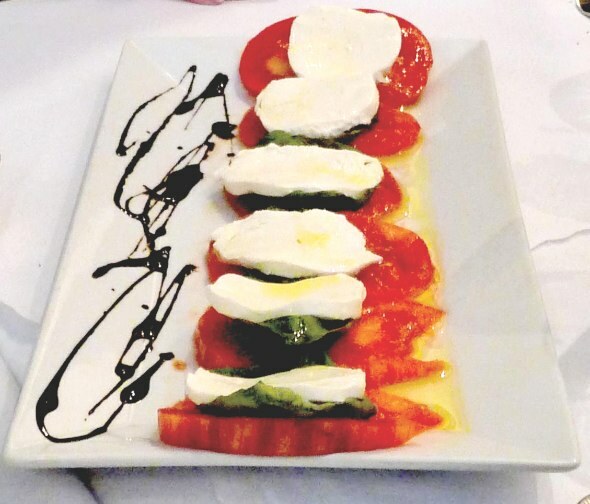 Located in a stunning Victorian house, Bella Saratoga Restaurant serves superbly prepared Italian fare in an intimate setting. Plates of award-winning pastas, local vegetables, fresh fish, filet mignon and pizzas are bountiful, so come hungry. Fronted by a lovely covered patio, ask about dining al fresco in spring and summer. Haute cuisine? Haute décor? The Michelin-rated Plumed Horse is exactly that. The ambiance exudes chic elegance and comfort. Draped in golden light and warm woods, dining rooms are exquisitely decorated—a true visual feast. Feel free to roam and ogle the towering wine cellar housing more than 1,800 wines from around the world. But brace yourself! You are about to be treated to gastronomic artistry. Every berry, vegetable, meat, fish, wild game, sauce and dessert is painstakingly plated. Chef/owner Peter Armellino’s classic French style will captivate your palate. Cyclists adore road trips up Highway 9 into the Santa Cruz Mountains. At Blue Rock Shoot, a wide selection of fresh-roasted coffees and specialty drinks make this a perfect rise-and-shine locale for a morning wander or post-bike ride hangout. Live music and comedy nights are also popular here. If memories aren’t enough, Deja & Co. Exquisite Jewels provide the definitive memento. A collection of jewelry from around the world and house-designed pieces are lavishly displayed for your viewing pleasure.